F.A.I.T.H. - Bonnie Salamon - F.A.I.T.H. 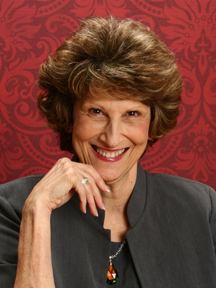 Bonnie Salamon knows what it is to overcome severe self-doubt and crippling agoraphobia to become a well-known and celebrated speaker, facilitator, and coach for those seeking meaning and purpose in the later years of life. In the “dark ages” of mental health issues (the 1960s through 1980s), hardly anyone acknowledged the problems surrounding subjects like depression and agoraphobia. For Bonnie, her teen and young adult years were marred by the fear that, at any moment, these maladies would again overtake her, causing her to “drop out” of school, jobs, and anything else that made up a normal life. Historically, that had been the case. With the love and patience of family, friends, and mentors, and the faith that she was meant for more than her stifling stay-at-home life , she eventually followed a string of Spirit-driven opportunities to learn, participate, and expand, and to go back to college after 39 years and finish the degree that agoraphobia prevented. She began her mid-life journey and studied to become a facilitator of spiritual connection programs, a coach to support mid-lifers as they reached for meaning in the later stages of life, and the creator of “Nourished Soul: Caring for Your Youniverse,” a live multi-day, multi-speaker event held in the Atlanta area. daughter-in-law, and granddaughter. Bonnie lives each day in gratitude for the chances she has been given to fulfill her life purpose.